It’s always a pleasure to pop over to MIT for the afternoon, and on Friday I attended a seminar titled ‘MIT and the World’s Largest Science Experiment: Hunting the Higgs Boson”, given by Markus Klute, Assitant Professor of Physics at MIT and member of the CMS (compact muon solenoid) collaboration at CERN. 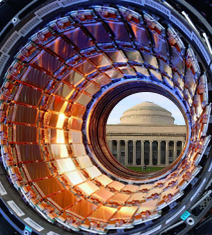 It seems MIT has quite a big involvement with the LHC, with a large group working at the CMS detector and a smaller group at ATLAS; about 40 researchers overall. The talk was aimed at a wide audience, and much of it was a fairly standard introduction to particle physics and the experiments at the Large Hadron Collider. I always try and attend such talks whenever I can, partly to pick up any new information but also to see how the real players present the story. Starting with a review of the nucleus and its particles, Markus gave a succinct overview of the Standard Model. I liked the way he linked the theory to today’s news; in describing the way particles are believed acquire mass (the Higgs mechanism), he invited the audience to imagine Charles and Kate entering the auditorium, how people would interact (i.e. cluster around them) to different degrees, thus acquiring different masses. This is a nice twist to a common analogy and it never hurts to connect with current events. (Being Irish, I’d be a neutrino with almost zero interaction, though I wish the couple well). Professor Klute then gave a nice overview of the four main detectors at the LHC, and then some details about his group’s contribution to the CMS experiment, particularly in the area of building the tracking system. 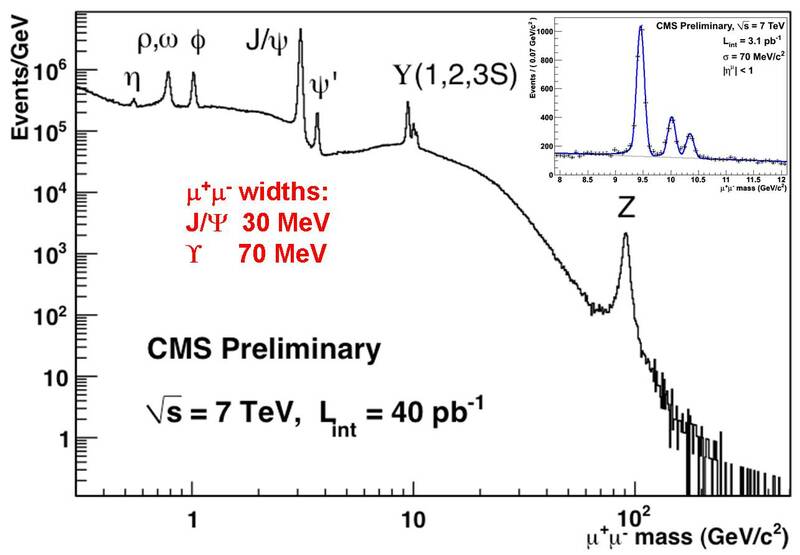 I won’t repeat the details but you can find a good review of US involvement at the CMS detector here. 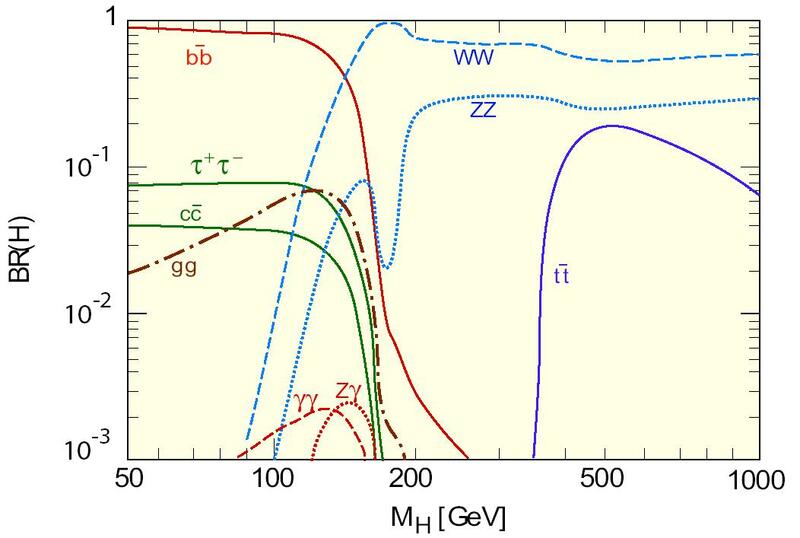 I particularly enjoyed the emphasis on the ‘rediscovery’ of the particles of the Standard Model at CMS, beautifully summarized in the plot below. I think particle physicists should emphasize this chart more, it gives great confidence in the methods of particle physics (and shows how sociologists such as Shapin and Schaffer underestimate the reproducibility of big science experiments, see ‘Leviathan and the Air Pump’). I liked the speaker’s simple description of particle detectors: a camera with a hundred million pixels and a shutter speed of 400 million times per second – not to mention the filtering. He also placed great emphasis on the computing challenges thrown up by the data, giving a nice overview of the Worldwide LHC Computing Grid. I also liked the way he described particle physics experiments in terms of four components: accelerators, detectors, computing and people! Professor Klute then gave a very quick review of the main production and decay channels for the Higgs and explained how CMS will look for them. Another nice plot was a summary slide showing the masses already ruled out by previous accelerator experiments. Finally, the speaker gave a quick synopsis of the possibility of observing physics beyond the Standard Model, concentrating on the possibility of the detection of supersymmetric particles, in particular the possibility of supersymmetric Higgses. After questions and answers, there was a poster session and reception, with some very impressive posters by MIT postgrads at CMS. All in all, a very enjoyable LHC talk with a useful description of US participation in the project. If you want to more about this, the US LHC blog is well worth following. (Being Irish, I’d be a neutrino with almost zero interaction, though I wish the couple well). Actually, Markus points out that I said Charles and instead of William, which shows you how much attention I paid to the event. Cormac, have you ever written a blog explaining why the neutrino is no longer considered a good candidate to explain dark matter and how its very low mass value is ascertained. thanks for your blog though I wish that some video clips of your public presentations were available. BTW, a word of caution: the indirectly excluded region in Markus’ plot obtains only for the standard model – CMS & the other LHC experiments do look at higher mass Higgs. Thanks for that Micheal! Actually, I had wondered. One hears about the higher mass searches and then that plot is always shown! We would be honored if we could republish your blog RSS feed in our Science category. Our readers need to read what your Antimatter blog has to say. 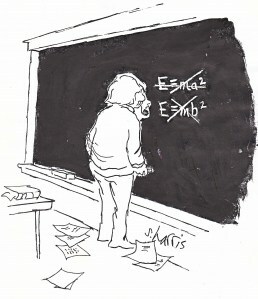 Sorry, guys, but the Higgs is just a chimera because quarks are composite. You may say now ‘come on, we haven’t seen it’, and the truth is that we have seen several indications of it. The first one was found in 1956 by Hofstadter when he determined the charge distributions of both nucleons. (one can see them around p. 450 (depending on edition) of the Berkeley Physics Course, vol. 1 (Mechanics)). We clearly see that both nucleons have two layers of internal constituents. Unfortunately these results were put aside from 1964 on due to the success of the quark model and of QCD later on. From 1985 on we began to see more indications of compositeness, but we were so enthusiastic with the SM that we didn’t pay much attention to them. A partial list of them: 1) in 1983 the European Muon Collaboration (EMC) at CERN found that the quarks of nucleons are slower when the nucleons are inside nuclei; 2) in 1988 the SLAC E143 Collaboration and the Spin Muon Collaboration found that the three quarks of the proton account for only half of its total spin (other subsequent collaborations (EMC in 1989 and Hermes in 2007) have confirmed this result which is called the proton spin puzzle); 3) in 1995 CDF at Fermilab found hard collisions among quarks indicating that they have constituents (this was not published because CDF didn’t reach a final consensus); 4) Gerald Miller at Argonne (Phys. Rev. Lett. 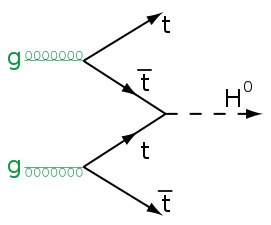 99, 112001 (2007)) found that close to its center the neutron has a negative charge equal to -1/3e (inside the positive region with +1/2e); 5) new measurements of the EMC effect have been carried out by J. Arrington et al. at Jefferson Lab and they have shown that the effect is much stronger than was previously observed; etc. Gerald Miller wrongly attibuted to d quarks the -1/3 charge at the neutron center, but as the neutron ia a udd system we know (even from QCD) that none of the 3 quarks spends much time at the center. The relevant paper on this subject is Weak decays of hadrons reveal compositeness of quarks which can be accessed from Google (it is at the top on the subjects Weak decays of hadrons, Decays of Hadrons and Weak decays).